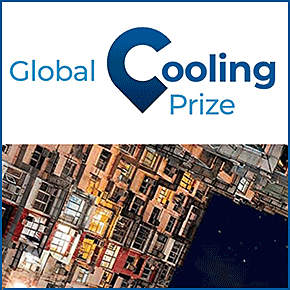 Launching on Nov-12, this innovation competition seeks to develop a climate-friendly residential cooling solution that can provide access to cooling to people around the world without warming the planet. By harnessing the power of innovation, we can provide cooling solutions that enhance people’s lives without contributing to runaway climate change. This groundbreaking competition is designed to incentivize development of a residential cooling solution that will have at least five times less climate impact than today’s standard RAC units. At least US$2 million in intermediate prize money will be awarded to support prototype development by shortlisted teams. These prototypes will be tested for performance in both laboratory and real-world conditions in a heat-stressed city in India. The ultimate winner will be awarded at least US$1 million to support commercialization and scaling of its innovative technology.